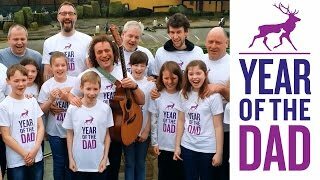 Following the success of Year of the Dad in 2016 – a major collaborative national campaign which involved a significant step up for us as a Board and for our operational team - we require two additional volunteer non-executive directors to ensure future sustainability, bring strategic leadership and support our maturing as an organisation. We are a Scottish Charity (since 2010) with a vision to create a safe and compassionate Scotland where all children, their families and communities are enriched and strengthened through the full and welcome involvement of their fathers. We aim to do this through our mission of driving positive cultural change by inspiring organisations to engage, support and empower men to be the fathers they want to be. Interested? Check out our full role description as pdf here.